Question: what has happened to the organization that has been at the helm of organizing carnival in Dominica for decades? That organisation was first called the Carnival Organizing Committee (COC) and later the Carnival Development Committee (CDC). But the group disappeared this year and few persons have cared to ask why although many have commented on the fact that they have noticed a difference especially at the opening parade of bands and advertising floats a couple weeks ago. Nevertheless, the general view is that over the past few years there has been a serious deficiency in the organising of carnival and the absence of the CDC may make the situation worse. "What has happened to the CDC, with persons like Raymond Lawrence, Noreen Joseph and all the other stalwarts who ensured a smooth and colourful opening of our carnival for many years," a carnival lover said at the parade. Raymond Lawrence is the Chief Cultural Officer in Dominica and also the director of the Waitukubuli Dance Theatre. When asked about the absence of the CDC he was reluctant to speak. "I would prefer if the officials of the Dominica Festivals Commission speak on that matter," he said. On his return to Dominica from his position as UNESCO Cultural Advisor in Jamaica, cultural icon and government's cultural advisor, Alwin Bully, was appointed chairman of the CDC. Bully said that the CDC was aiming at creating an atmosphere during the carnival season in which persons could relax and put away their inhibitions. He said that it is for this reason that the CDC had been experimenting with new initiatives which represented some departure from what occurred over the past few years. When approached for comments on the CDC, Bully stated: "I have resigned and I am no longer part of that organization (but) if I am called upon to give professional advice I will but that is all I do now." 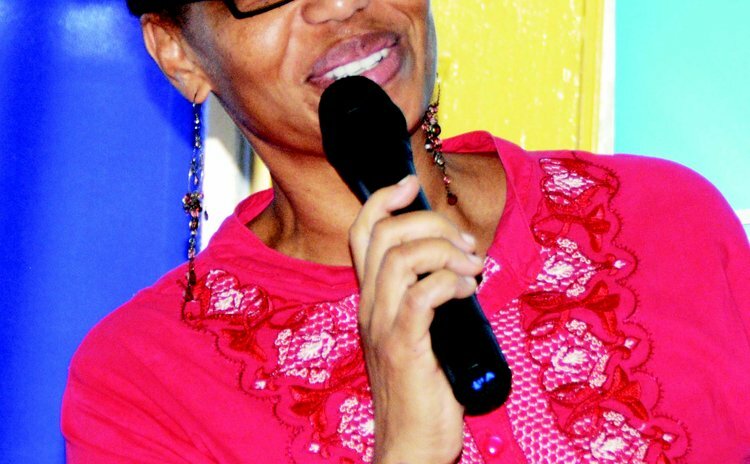 Natalie Clarke, the Events Director of the Dominica Festivals Commission (DFC) told the SUN that "when I came to the job in 2010, I met a very fragmented Carnival Development Committee under the chairmanship of Alwin Bully. We had the Dominica Festivals Committee, the Road Parade Committee, Queen Show committee. The whole affair was very disjointed because you have the Calypso Association, the Leo Club and Lions Club along with the Pan Association and Waitukubuli Dance Theatre, all hosting various aspects of carnival." Clarke stated that what she was accustomed to as it relates to the development of carnival in Trinidad was "non-existent in Dominica. "Alwin resigned because of various constraints. You have to try and link and connect the dots with the Discover Dominica, DFC and so. We have no technical advisor…it has reached a place where decisions have to be made. What is the vision; why is it not functioning and how can we make it work," she stated. "The networking between us is key, along with the rural organizations, the Cultural Division to have to organise workshops to grow the Sensays, Darkies and all. The old vanguards are dying; where is the young generation we have to pass the baton to; it is urgent that they are found," Clarke said.